I came across this car in a parking lot in Mesa, Arizona. It is remarkably clean for its age and looks well taken care of. 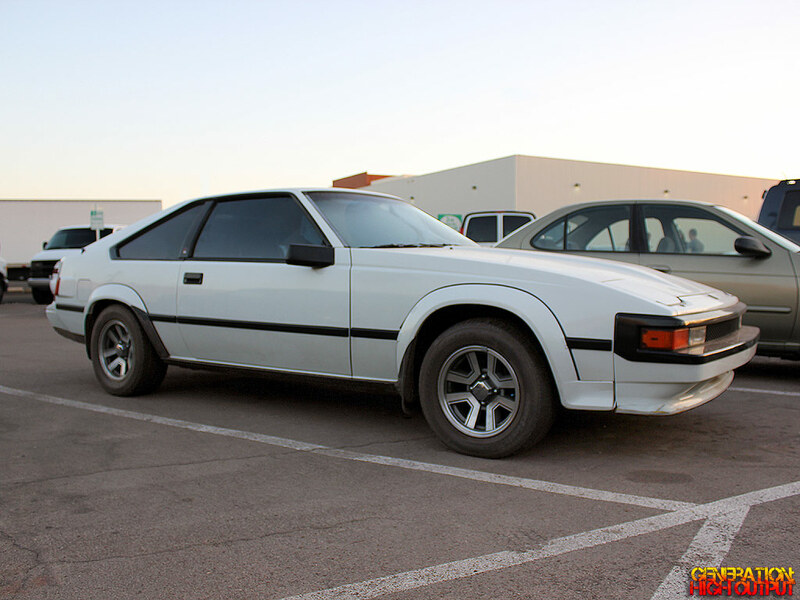 I believe this one is an ’84 or an ’85 because it has the large SUPRA script across the back but does not have the 3rd brakelight which became standard in 1986. It is also notable for its lack of a spoiler, which was available in one-piece or two-piece versions depending on the model year. Toyota brought the Supra to America in two different versions: the Performance type (P-type) and the Luxury type (L-type). They have some minor differences between them, but the most obvious sign that this particular Supra is a P-type is its wide fiberglass fender flares. I’m not into anime or drifting or JDM culture, but I can appreciate this well-maintained sports car that gave the competition a run for its money. 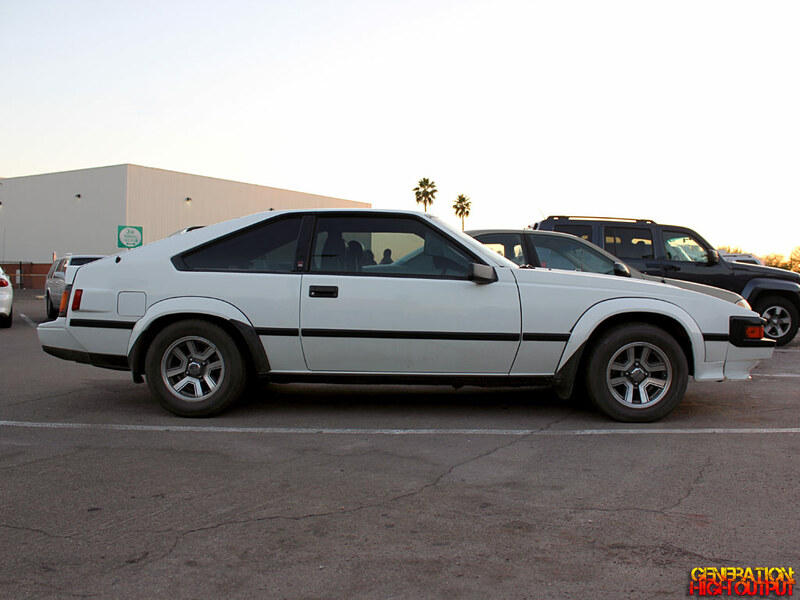 The styling of the Mark II Supra has aged well, and it doesn’t look as bad as other cars from its decade. These cars already hold their value pretty well, but I predict that they will go on to be highly desirable in the collector market in the not-too-distant future. 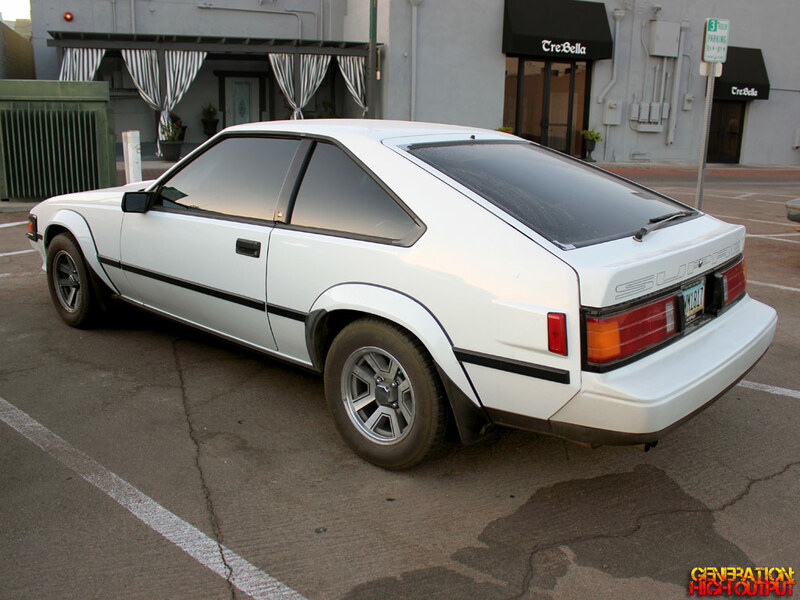 This entry was posted in Curiosities and tagged 1980's, celica supra, Hatchback, japanese, mark ii, mkii, sports car, toyota supra by Trevor Freeman. Bookmark the permalink.